The Walter Reed Army Institute of Research has awarded Engility a potential five-year, $10 million task order to perform clinical trials of experimental vaccines against Chikungunya virus. Engility said Thursday it received the task order under a potential four-year, $900 million indefinite-delivery/indefinite-quantity contract awarded by the U.S. Army in January. 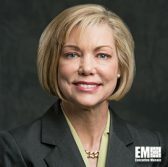 Engility CEO Lynn Dugle said the company will collaborate with Walter Reed Institute’s researchers through the contract to perform medical research in an effort to protect soldiers and civilians from the virus. Chikungunya is a mosquito-borne viral disease that causes fever and joint pain and has no vaccine.